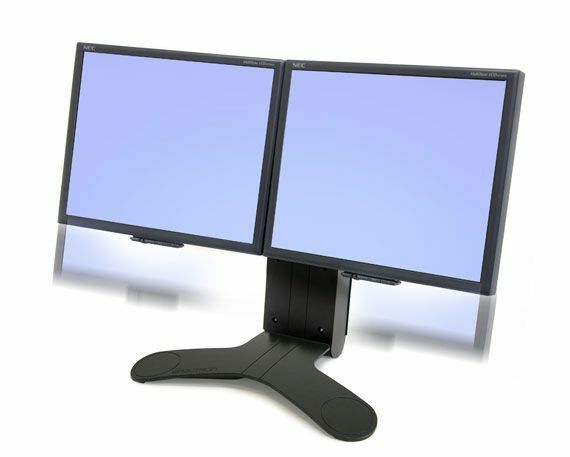 Simultaneously lift and tilt two displays with just a touch for maximum ergonomic comfort. This stand expands your computer desktop across two screens. - Monitors lift and tilt in tandem to maintain position integrity. - Patented CF motion technology provides premium adjustment. - Easy to usesimple installation and effortless operation. Minimum screen size compatibility: - "
Maximum screen size compatibility: 24 "